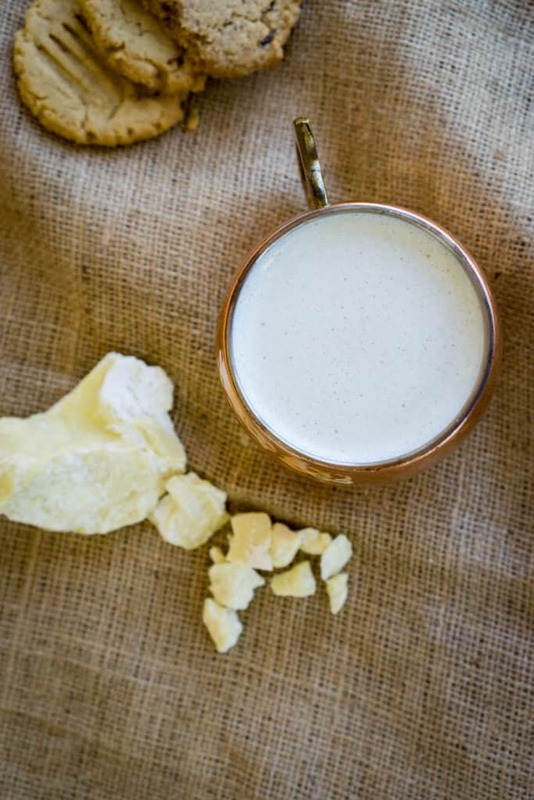 We've been making this White Hot Chocolate for months now and it is still our newest obsession. We had cacao butter in our fridge for about 5 months before we realized we could use it for more than just delicious fat bombs. We stopped eating fat bombs, but found our new love with this hot chocolate recipe. It's perfect for everyone in the family and warms you right up on a cold winter night! 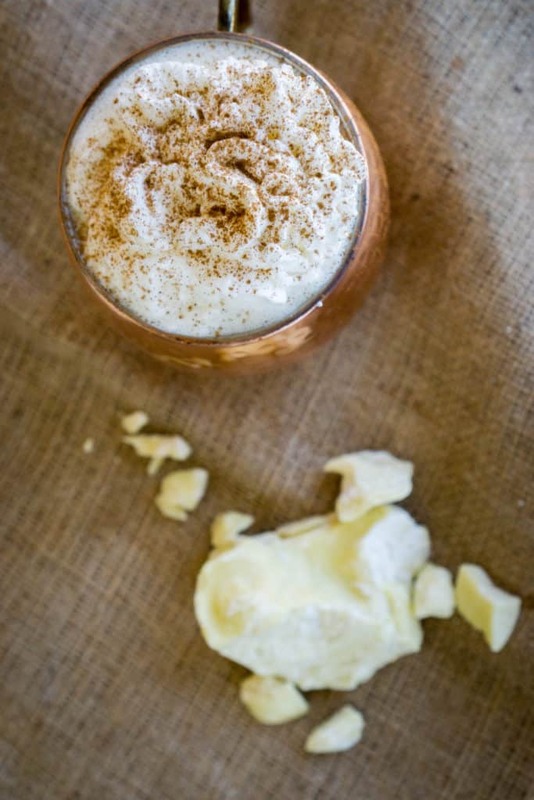 Once you make it your usual dessert night cap will be replaced with this low carb liquid gold! The Best Hot Chocolate Recipe! What makes this the best recipe is the use of cacao butter instead of cocoa butter or chocolate! The use of cacao butter makes this recipe completely caffeine free and perfect for a post dinner, pre-bedtime night cap! Although I am not as sensitive to caffeine, Matt finds it difficult to drink anything caffeinated past 1 pm and have it not impact his sleep that night. 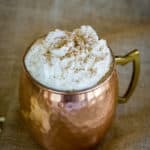 So if you're anything like Matt or just want to get in a good dose of fat and deliciousness before bed, this hot chocolate recipe is made for you! This may not be your traditional hot chocolate using chocolate or cocoa powder, but it still has that homemade feel. And, in our opinion it tastes a whole lot better! It's much higher in fat and has a buttery, and subtly sweet mouth feel. However, one thing to note is that you will want to add some sweetener since cacao butter is just a creamier fat. We like to go hard on the liquid stevia and even jazz it up with some nutmeg or cinnamon! Winter or summer hot drinks are always on the menu. If you're not a fan of hot chocolate, then you might enjoy our turmeric tea recipe! It's another great option for upping your fat in a flavorful, healthy way. We like to drink it in the afternoon before dinner to curb our appetite if we have a lot of work to get done that day. Additionally, if you're above the age of 21 and looking for a stronger night cap our keto irish coffee will do the trick. You can make yourself one of those and make some white hot chocolate for the kids! Recipe can be quickly added to MyFitnessPal - Search "KetoConnect - White Hot Chocolate"
Add all the ingredients to a saucepan and heat on medium-high heat until the cacao butter has melted. Pour the mixture into a blender and add collagen peptides. Blend until fully incorporated. Pour into a glass and enjoy immediately!